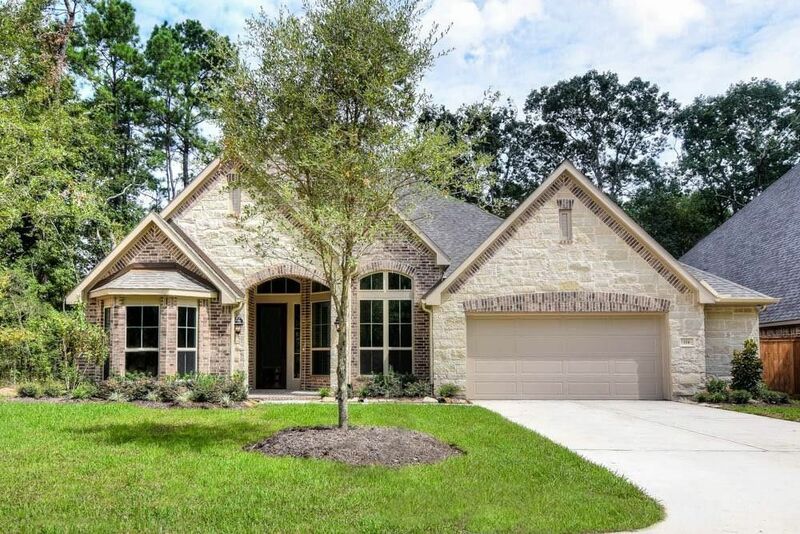 1-story home features large entry with 12' ceilings that extends past open dining room with 12' ceilings and hardwood floors, and leads to the family room with 12' ceilings, corner fireplace and full wall of windows. Open kitchen overlooks the large family room and breakfast room, and features 42 raised panel cabinets and an oversized island with granite countertops and hi-bar seating. Oversized 33' wide patio options. Master bath includes a 6' garden tub, separate shower and His and Hers vanities. OVERSIZED 3.5 CAR GARAGE.